For the Canadian football player, see Don Mattingly (Canadian football). Donald Arthur Mattingly (born April 20, 1961) is an American professional baseball first baseman, coach and current manager of the Miami Marlins. Nicknamed "The Hit Man" and "Donnie Baseball", he spent his entire 14-year career playing with the New York Yankees and later managed the Los Angeles Dodgers for five years. Mattingly graduated from Reitz Memorial High School in Evansville, Indiana, and was selected by the Yankees in the amateur draft. Debuting with the Yankees in 1982 after three seasons in minor league baseball, Mattingly emerged as the Yankees' starting first baseman after a successful rookie season in 1983. Mattingly was named to the American League (AL) All-Star team six times. He won nine Gold Glove Awards, three Silver Slugger Awards, the 1984 AL batting title, and was the 1985 AL Most Valuable Player. Mattingly served as captain of the Yankees from 1991 through 1995, when he retired as a player. The Yankees retired Mattingly's uniform number, 23, after his retirement. Returning to the Yankees as a coach in 2004 for manager Joe Torre, he followed Torre to the Dodgers in 2008, and succeeded him as the Dodgers' manager in 2011. The Dodgers and Mattingly mutually parted ways after the 2015 season, and he became manager of the Miami Marlins. 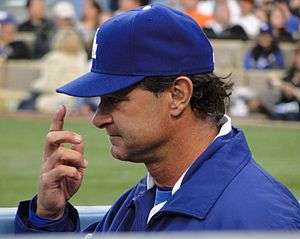 Mattingly is ambidextrous. He pitched in Little League Baseball and was a first baseman also, throwing both righthanded and lefthanded, and was a member of the 1973 Great Scot Little League championship team in Evansville, Indiana under the coaching of Pete Studer and Earl Hobbs. In American Legion baseball for Funkhouser Post #8, Mattingly played at second base, throwing right-handed. Following his high school career, Mattingly accepted a scholarship to play baseball for the Indiana State Sycamores. His father, Bill, informed Major League Baseball (MLB) teams that his son intended to honor that commitment, and would not sign a professional contract. Mattingly lasted in the 1979 MLB draft until the 19th round, when he was selected by the New York Yankees. He was not interested in attending college, so he chose to sign with the Yankees, receiving a $23,000 signing bonus. Mattingly began his professional career in Minor League Baseball with the Oneonta Yankees of the Class A-Short Season New York–Penn League in 1979. He hoped to bat .500 for Oneonta, and was disappointed with his .349 batting average, which never went lower than .340. He batted .358 in 1980, and .316 in 1981. Despite Mattingly's hitting ability, there was concern about his lack of speed and power. Bob Schaefer, his manager with the Greensboro Hornets of the Class A South Atlantic League in 1980, said that the organization considered moving Mattingly to second base, where he would throw right-handed. Mattingly was hitting .325 for the Columbus Clippers of the Class AAA International League when he made it to the majors late in the 1982 season. Mattingly made his Major League debut on September 8, 1982, as a late inning defensive replacement against the Baltimore Orioles. He recorded his first at-bat on September 11 against the Milwaukee Brewers, popping out to third base in the seventh inning. His first career Major League hit occurred in the bottom of the 11th inning against the Boston Red Sox on October 1, a single to right field off of Steve Crawford. He only had 2 hits in 12 at-bats that season. Mattingly spent his rookie season of 1983 as a part-time first baseman and outfielder. He hit .283 in 279 at-bats. He hit his first home run on June 24 against John Tudor of the Red Sox. 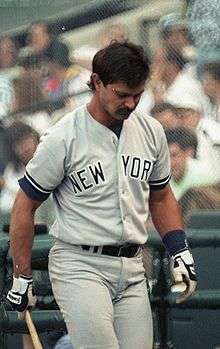 Mattingly became the Yankees' full-time first baseman in 1984 after the trade of Steve Balboni to the Kansas City Royals. Heading into the final game of the season, Mattingly and teammate Dave Winfield were competing for the American League batting title, with Mattingly trailing Winfield by .002. On the final day of the season. Mattingly went 4-for-5, while Winfield batted 1-for-4. Mattingly won the batting title with a .343 average, while Winfield finished second with a .340 average. Mattingly also led the league with 207 hits. He hit a league-leading 44 doubles to go with 23 home runs. He was second in the league in slugging percentage (.537) and at bats per strikeout (18.3), fourth in total bases (324), fifth in RBIs (110), sixth in sacrifice flies (9), and tenth in on-base percentage (.381). Mattingly followed up his breakout season with a spectacular 1985, winning the MVP award in the American League. He batted .324 (3rd in the league) with 35 home runs (4th), 48 doubles (1st), and 145 RBIs (1st), then the most RBIs in a season by a left-handed major league batter since Ted Williams drove in 159 in 1949. His 21-RBIs lead in the category was the most in the American League since Al Rosen's led the league in RBIs in 1953. He led the league in sacrifice flies (15), total bases (370), and extra base hits (86), and was 2nd in the AL in hits (211) and slugging percentage (.567), 3rd in intentional walks (13) and at bats per strikeout (13.9), 6th in runs (107), and 9th in at bats per home run (18.6). He batted .354 with two out and runners in scoring position. Mattingly was also recognized in 1985 for his defense, winning his first of nine Gold Glove Awards. He was considered such an asset defensively that Yankees management assigned him to play games at second base and third base early in his career, even though he was a left-handed thrower. Mattingly appeared as a left-handed throwing second baseman for one-third of one inning, during the resumption of the George Brett "Pine Tar Incident" game in 1983. He also played three games as a left-handed throwing third baseman during a five-game series against the Seattle Mariners in 1986. Mattingly did just as well in 1986, leading the league with 238 hits, 53 doubles, and breaking the single-season franchise records set by Earle Combs (231 hits) and Lou Gehrig (52 doubles); both records had been set in 1927. He also recorded 388 total bases and a .573 slugging percentage. He batted .352 (second in the league), hit 31 home runs (sixth) and drove in 113 runs (third). However, he was beaten in the American League MVP voting by pitcher Roger Clemens, who also won the Cy Young Award that year. In 1987, Mattingly tied Dale Long's major league record by hitting home runs in eight consecutive games, from 8–18 July (the All-Star game occurred in the middle of the streak; Mattingly, starting at first base, was 0 for 3). This record was later tied again by Ken Griffey, Jr., of Seattle in 1993. Mattingly also set a record by recording an extra base hit in ten consecutive games. Mattingly had a record 10 home runs during this streak (Long & Griffey had eight during their streaks). Also that season, Mattingly set a major league record by hitting six grand slams in a season (two during his July home run streak), a record matched by Travis Hafner during the 2006 season. Mattingly's grand slams in 1987 were also the only six grand slams of his career. In June 1987, it was reported that Mattingly injured his back during some clubhouse horseplay with pitcher Bob Shirley though both denied this. Nevertheless, he finished with a .327 batting average, 30 home runs, and 115 RBIs, his fourth straight year with at least 110 RBIs. Between 1985 and 1987, Mattingly hit 96 home runs with just 114 strikeouts. Mattingly hit 18 home runs and recorded 88 RBIs in 1988, but nonetheless was still in the top 10 in the league in batting average at a .311 clip. He rebounded in 1989 to 113 RBIs, but his average dipped to .303. Mattingly's five runs scored on April 30, 1988, marked the 12th time it has been done by a Yankee. Mattingly's back problems flared up anew in 1990; after struggling with the bat, he had to go on the disabled list in July, only returning late in the season for an ineffective finish. His stat line—a .256 average, 5 home runs and 42 RBIs in almost 400 at-bats—came as a shock. Mattingly underwent extensive therapy in the offseason, but his hitting ability was never quite the same. Though he averaged .290 over his final five seasons, he became more of a slap hitter, hitting just 53 home runs over that timeframe. Mattingly's defense remained stellar, but he was not always physically able to play. Mattingly made his major league debut in 1982, the year after the Yankees lost the World Series. The team did not reach the postseason in any of Mattingly's first 13 years, although they arguably would have made the playoffs in 1994, when the players' strike ended the season prematurely with the Yankees having the best record in the American League. In 1995, Mattingly finally reached the playoffs when the Yankees won the AL wild card on the next-to-last day of the season. In the only postseason series of his career, facing the Seattle Mariners, Mattingly batted .417 with six RBIs and a memorable go-ahead home run in Game Two, his final game at Yankee Stadium. In the final game of the series (and of his career), Mattingly again broke a tie with a two-run double. The New York bullpen faltered and Seattle won in the 11th inning of the decisive Game Five. The Yankees acquired Tino Martinez to succeed Mattingly after the 1995 season. Unsigned for the 1996 season, Mattingly decided to sit out for the year, and rebuffed an inquiry by the Baltimore Orioles, who tried to sign him at midseason. Mattingly officially announced his retirement in January 1997. For his career, Mattingly never appeared in the World Series, and his tenure with the Yankees marks the team's largest drought without a World Series appearance. Interestingly, the Yankees made the Series both the year prior to Mattingly's rookie year, 1981, and the year after his last with the club, 1996. After retiring as a player, Mattingly spent seven seasons as a special instructor during Yankees' spring training in Tampa, Florida from 1997 through 2003. Following the 2003 season, the Yankees named Mattingly the hitting coach. He spent three seasons in that role, receiving much praise from the Yankees organization and his players. Under Mattingly, the Yankees set an all-time franchise record with 242 home runs in 2004. After the 2006 season, Mattingly shifted to bench coach, replacing Lee Mazzilli. After the 2007 season, Mattingly was a finalist for the Yankees' manager position, after Joe Torre declined a one-year contract extension, along with Joe Girardi and Tony Peña. The Yankees offered the managerial position to Girardi, who accepted. After not being offered the position of manager for the Yankees, Mattingly joined Torre with the Los Angeles Dodgers as the team's hitting coach. 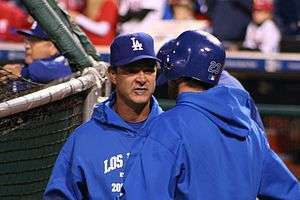 On January 22, 2008, Mattingly was replaced as hitting coach, citing family reasons, instead serving as major league special assignment coach for the Dodgers in 2008. Mattingly succeeded Mike Easler as Dodgers' hitting coach that July. The Dodgers were the National League Runner-up in 2008 and 2009 (losing to the Philadelphia Phillies in both National League championship series), largely behind the bat of mid-season acquisition Manny Ramirez. In the 2009–10 offseason, Mattingly was a finalist for the managerial position with the Cleveland Indians, for which Manny Acta was eventually hired. When Torre decided to retire at the end of the 2010 season, Mattingly was announced as his replacement. To acquire some managerial experience, Mattingly managed the Phoenix Desert Dogs of the Arizona Fall League in 2010. "He's so positive", Kershaw said. "All he asks of us is just go out there and play the way we're supposed to. Do things the right way on the field, and he's happy with you. When it's simple like that, it's easy to play for, and it's fun to play for." In 2013 Mattingly and the Dodgers got off to a rough start due to various injuries and were in last place in May, leading to much media speculation that he would soon be fired. However, once players got healthy the team went on a tear and managed to win the NL West and beat the Atlanta Braves in the NLDS in four games. They then lost to the St. Louis Cardinals in the NLCS in six games. After the season, Mattingly called out Dodger management for its perceived lack of support of him during the season and said that he wanted a multi-year contract in place in order to return in 2014. Mattingly finished second in the voting for National League Manager of the Year. Mattingly stated that one of his managerial idols was Tony La Russa. Mattingly admired La Russa from his playing days with the Yankees in the late 1980s. LaRussa had managed the dominant Oakland Athletics teams of the era. Mattingly recalled that despite the A's superiority to the Yankees, they still played intensely. On January 7, 2014, Mattingly and the Dodgers agreed on a three-year contract extension for him to remain as manager of the Dodgers. On September 29, 2015, Mattingly became the first manager in the history of the Dodgers franchise, in both Brooklyn and Los Angeles, to lead the team to the playoffs in three consecutive seasons. The Dodgers lost in five games to the New York Mets in the National League Divisional Series. On October 22, 2015 the Los Angeles Dodgers and Mattingly mutually agreed to part ways, and he stepped down from his position in Los Angeles with one year left on his contract. He had a 446–363 record with the Dodgers, with a winning percentage of .551 which is second best in Los Angeles Dodgers history. He finished with a post–season record of eight wins and 11 losses and was the only manager in franchise history to guide the team to three straight post-season appearances. On October 29, 2015, it was reported that Mattingly would be signing a four-year contract to manage the Miami Marlins. Don Mattingly's number 23 was retired by the New York Yankees in 1997. Mattingly finished his career with 2,153 hits, 222 home runs, 1,099 RBI, and a .307 lifetime average. He is commonly cited as the best Yankee player to have never played in a World Series. His career had bad timing, as the Yankees lost the World Series the year before he broke into the big leagues and they ended up winning the World Series in the first year of Mattingly's retirement, not to mention the Yankees had the best record in the American League in 1994 before the strike. This World Series drought (1982–1995) was the longest in Yankees history since the start of the Babe Ruth era and it was worsened by the player's strike in 1994, which ended a promising chance for a World Series title. Buck Showalter, Mattingly's last manager during his playing days and a former teammate in the minor leagues, attributed Mattingly's calmness to the controversies he was subjected to during his time with the Yankees. The Yankees retired Mattingly's number 23 and dedicated his plaque for Monument Park at Yankee Stadium on August 31, 1997. The plaque calls him "A humble man of grace and dignity, a captain who led by example, proud of the pinstripe tradition and dedicated to the pursuit of excellence, a Yankee forever." Mattingly's jersey number (18) was also retired by the Nashville Sounds in 1999. Mattingly was on the Hall of Fame ballot from 2001 to 2015, never getting enough votes for induction. In his first year, he received 145 votes (28.2%), but this had steadily declined, by 2009, only 12% of voters still put him on their ballots. In 2015, Mattingly's eligibility expired after fifteen attempts. He had been grandfathered onto the ballot after the committee restricted eligibility to ten years. In 1994, Mattingly was inducted into the South Atlantic League Hall of Fame; he led the South Atlantic League with a .358 average and 177 hits in 1980 while leading the Greensboro Hornets to a league title. He was an All-Star and was awarded the league MVP. In 2001, Mattingly was inducted into the Indiana Baseball Hall of Fame; his plaque lays out his phenomenal high school and professional career. In 1987, he was named the American Legion Graduate of the Year, for his success in the Major Leagues following his American Legion baseball career. Mattingly married Kim Sexton on September 8, 1979; they are now divorced. They have three sons: Taylor, Preston, and Jordon, two of whom attempted careers at professional baseball. Taylor was drafted in the 42nd round (1,262nd overall) of the 2003 Major League Baseball draft by the New York Yankees, and played in 24 games for the Gulf Coast Yankees in the rookie league before an injury cut short his season. After sitting out all of 2004 and 2005, Taylor retired from baseball in 2005 after only 58 professional at bats. Of his eldest son, Don observed: "He loved the game, not the lifestyle." Preston was chosen in the first round (31st overall) of the 2006 Major League Baseball draft by the Los Angeles Dodgers and was rated as a B- prospect in John Sickels' 2007 Baseball Prospect Book. Sickels noted, "Position a question but has promising tools and bloodlines." Preston was traded to the Cleveland Indians on September 26, 2010, just nine days after his father was announced as the manager of the Dodgers for the 2011 season. He was subsequently released by the Indians at the end of spring training, and re-signed with the Dodgers. On January 11, 2012, the Yankees signed Preston to a minor league contract but they released him again on March 27. Preston is now a sophomore at Lamar University in Beaumont, Texas. He is currently a starting guard for the Lamar Cardinals basketball team, an NCAA Division I program in the Southland Conference. In the 1980s, while with the Yankees, Mattingly was a resident of Tenafly, New Jersey. Mattingly remarried on December 10, 2010, in his hometown of Evansville, Indiana. The wedding, as well as his managing the Phoenix Desert Dogs of the Arizona Fall League, prevented him from attending the Fall 2010 Winter Meetings. During the late 1980s and early 1990s, Don Mattingly was the owner of a restaurant in Evansville, Indiana, called "Mattingly's 23", after the uniform number he wore for most of his career. In 2005, Mattingly launched Mattingly Sports, a baseball and softball equipment company, based primarily around the patented V-Grip baseball and softball bats. Mattingly appeared in a baseball-themed episode of The Simpsons, entitled "Homer at the Bat". In the episode (originally aired on February 20, 1992), team owner Mr. Burns repeatedly demands that Mattingly trim his sideburns, even though Mattingly has no sideburns (and in fact wonders if Mr. Burns even knows what sideburns are). A confused Mattingly returns with 1/3 of his head shaved from one ear over the top of the head to the other. The irate Burns cuts him from the team because he would not "trim those sideburns!" As he departs, the exasperated Mattingly says to himself, "I still like him better than Steinbrenner." Coincidentally, in 1991, before the episode aired but after it was produced, then-Yankees manager Stump Merrill told him that until he cut his hair, he would not play. This was in accord with Yankee owner George Steinbrenner's policy requiring his players to maintain well-kept head and facial hair. Mattingly was sporting a longish or mullet-like hair style, and when he refused to cut it, he was benched. Mattingly has also appeared in public service announcements airing on the Spike TV network advocating fathers spending time with their children as part of the "True Dads" campaign to encourage men to take an active role in their children's lives. Mattingly is referred to by name in several episodes of Seinfeld. In one memorable episode, his uniform pants split because they were made of 100% cotton at the behest of George Costanza. 1 2 3 4 5 6 Peter Gammons (February 6, 1989). "After his most trying year as a Yankee, Don Mattingly is – 02.06.89 – SI Vault". Sports Illustrated. Retrieved October 24, 2013. ↑ "High School Sports Record Book". National Federation of State High School Associations. Retrieved April 9, 2014. ↑ Jaffe, Jay (December 19, 2012). "JAWS and the 2013 Hall of Fame ballot: Don Mattingly | The Strike Zone". Sports Illustrated. Retrieved October 23, 2013. ↑ "Minor league stats". Baseball-Reference.com. Retrieved August 27, 2013. ↑ "September 8, 1982 Yankees vs. Orioles box score". Baseball-Reference.com. September 8, 1982. Retrieved August 27, 2013. ↑ "September 11, 1982 Yankees vs. Brewers box score". Baseball-Reference.com. September 11, 1982. Retrieved August 27, 2013. ↑ "October 1, 1982 Yankees vs. Red Sox box score". Baseball-Reference.com. October 1, 1982. Retrieved August 27, 2013. ↑ "June 24, 1983 Yankees vs. Red Sox box score". Baseball-Reference.com. June 24, 1983. Retrieved August 27, 2013. ↑ Dean Hybl (July 24, 2013). "30 Years Ago: George Brett Erupts During "Pine Tar Game" (VIDEO)". Sports Then and Now. 1 2 3 "Don Mattingly". Baseball-Reference.com. Retrieved December 7, 2014. ↑ Justin Kubatko / Original design by Justin Kubatko. "Left-handers playing third base". Baseball-Reference.com. Retrieved August 27, 2013. ↑ "New York Yankees Top 10 Batting Leaders". Baseball-Reference.com. Retrieved August 27, 2013. ↑ "Baseball Awards Voting for 1986". Baseball-Reference.com. Retrieved August 27, 2013. ↑ "DON MATTINGLY'S GRAND SLAMS – 1987". Donniebaseball.com. Retrieved August 27, 2013. ↑ Chass, Murray (June 9, 1987). "Doctor's orders: Rest for Mattingly". New York Times. Retrieved April 9, 2010. ↑ Curry, Jack (December 8, 1995). "Baseball; Yanks Get Martinez For Davis, Hitchcock". The New York Times. Retrieved February 3, 2015. ↑ Curry, Jack (January 23, 1997). "Mattingly Says Farewell, and So Does His Number". The New York Times. Retrieved February 3, 2015. ↑ "Report: Mattingly to replace Mazzilli on Yankees' bench". ESPN.com. Associated Press. October 26, 2006. ↑ Kepner, Tyler (October 30, 2007). "Girardi, Pinstripe Champion, Is Yankees' Choice as Manager". New York Times. Retrieved December 19, 2009. ↑ Anthony Mccarron (January 22, 2008). "Don Mattingly leaves Joe Torre's side because of family matters". Daily News (New York). ↑ "Report: Dodgers promote Mattingly Special hitting instructor would assume full-time role on staff". MLB.com. Retrieved October 20, 2008. ↑ "Legendary Manager Joe Torre to Retire at End of Baseball Season". CNN. September 17, 2010. ↑ Jackson, Tony (September 18, 2010). "Mattingly deal already in place". ESPNLosAngeles.com. ↑ Jackson, Tony (October 12, 2010). "Don Mattingly managing in Fall League". ESPNLosAngeles.com. ↑ Gurnick, Ken (April 1, 2011). "Kershaw sparkles in outdueling Giants' ace". MLB.com. Retrieved May 6, 2012. 1 2 Kepner, Tyler (May 7, 2012). "Raised a Yankee, Mattingly Is Happy to Be a Dodger". The New York Times. ↑ Rosethal, Ken (May 19, 2013). "Ax to fall soon for LA's Mattingly". FOX Sports. Retrieved October 23, 2013. ↑ Dilbeck, Steve (October 21, 2013). "Don Mattingly says Dodgers' contract 'doesn't mean I'll be back'". LA Times. Retrieved October 23, 2013. ↑ Cassavell, AJ (November 12, 2013). "Mattingly runner-up in NL Manager of Year vote". Retrieved November 12, 2013. ↑ Gonzalez, Alden (January 7, 2014). "Mattingly, Dodgers agree on contract extension". mlb.com. Retrieved January 7, 2014. ↑ "Reports: Miami Marlins hire Don Mattingly as manager". ESPN. Retrieved 30 October 2015. 1 2 3 4 "Don Mattingly". Baseball Reference. Sports Reference. Retrieved September 18, 2015. 1 2 Hernandez, Dylan and Bill Shaikin (October 22, 2015). "Don Mattingly out as Dodgers manager". Los Angeles Times. Retrieved October 22, 2015. ↑ "Don Mattingly hired as manager of the Miami Marlins". USA Today. October 29, 2015. Retrieved October 29, 2015. ↑ Frisaro, Joe (October 29, 2015). "Mattingly to be next manager of Marlins". Major League Baseball Advanced Media. Retrieved October 30, 2015. ↑ Kirby Lee/Image of Sport-US PRESSWIRE (May 13, 2012). "Bradley: Former Yankee Don Mattingly is leading Los Angeles Dodgers' turnaround". Nj.com. Retrieved August 27, 2013. ↑ "Yankee Stadium Plaques". Donniebaseball.com. Retrieved August 27, 2013. ↑ "Retired Numbers | Nashville Sounds Roster". Milb.com. Retrieved August 27, 2013. ↑ "Don Mattingly bio". TheBaseballPage.com. ↑ "Hall of Fame – 1994 | South Atlantic League About". Milb.com. Retrieved October 23, 2013. ↑ "Now the Fun Starts". New York Post. Retrieved May 21, 2007. ↑ "2007 Los Angeles Dodgers Prospects". SportsBlogs, Inc. Archived from the original on March 12, 2007. Retrieved May 21, 2007. ↑ Jackson, Tony (September 26, 2010). "Dodgers trade Preston Mattingtly". ESPNLosAngeles.com. Retrieved September 26, 2010. ↑ "Indians cut ties with Mattingly's son". Losangeles.dodgers.mlb.com. Retrieved August 27, 2013. ↑ "Yankees sign Preston Mattingly, son of franchise icon Don Mattingly | yankees.com: News". Mlb.mlb.com. May 24, 2013. Retrieved August 27, 2013. ↑ "Yankees release Preston Mattingly". Espn.go.com. March 27, 2012. Retrieved August 27, 2013. ↑ Martinez, Michael. "MATTINGLY EAGER TO GET IN SWING AGAIN", The New York Times, June 11, 1987. Accessed October 11, 2015. "'I know it's foolish to think I could go out there and play, and they're keeping me back so I don't try to do too much too soon,' Mattingly said from his home in Tenafly, N.J.
↑ Thomas, Robert McG., Jr.; and Martinez, Michael. "SPORTS WORLD SPECIALS; Picture Perfect", The New York Times, March 23, 1987. Accessed October 11, 2015. "Then they gathered, for his approval, a stack of other Mattingly-at-the-bat shots and sent them to his Tenafly, N.J., home, where he cast aside first this one (shoulder slightly askew), then that (weight not quite properly shifted), before finally deciding on just the right candidate from a batch of no fewer than 100. 'It was no big deal,' said baseball's best player." ↑ Jackson, Tony (December 7, 2010). "Joe Torre puts off decision on future". ESPNLosAngeles.com. ↑ "Former Yankee Closes Namesake Restaurant". Apnewsarchive.com. June 18, 1996. Retrieved August 27, 2013. ↑ Archived July 31, 2015, at the Wayback Machine. ↑ 2/20/12 6:49pm 2/20/12 6:49pm (February 20, 1992). "The Making Of "Homer At The Bat", The Episode That Conquered Prime Time 20 Years Ago Tonight". Deadspin.com. Retrieved August 27, 2013. ↑ Curry, Jack (August 17, 1991). "Baseball; No More Split Ends as Mattingly Rejoins Yanks". New York Times. ↑ Chass, Murray (August 16, 1991). "Baseball; Mattingly Flap: Hair Today, Gone Tomorrow?". New York Times. ↑ Katcher, Paul. "Best Seinfeld Sports Moments". Page 3 ESPN.com. ESPN.com. Retrieved October 10, 2012. Wikimedia Commons has media related to Don Mattingly.